Box tree events easter update. As part of His Royal Highness (HRH) the Prince of Wales’ work with the fantastic organisation – The Princes Countryside Fund, Yorkshire was lucky enough to receive a state visit from Prince Charles himself in March. 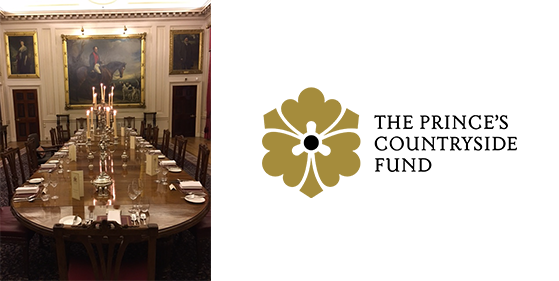 We were honoured to be asked to cater for an intimate working dinner of just 16 guests in the State Dining Room at Harewood House. The menu constructed by head chef Simon Gueller was carefully thought through to celebrate the best of local Yorkshire and seasonal produce in-keeping with the ethos of the Countryside Fund to support British agriculture. The starter of Blue Cheese and Leek Risotto used the award winning Mrs Bell’s Blue Cheese from Thirsk. The main course was perfectly in season Cod served with local Pink Fir Potatoes and Simon’s signature Sauce Noilly, this perfectly balanced meal finished with stunning individual Cox’s Apple Tart Tatin’s and Cinnamon Ice Cream. 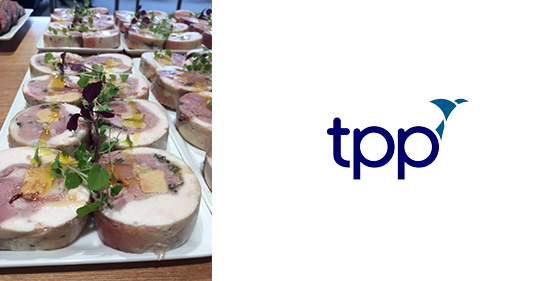 Just seven days later we were on the road again for another high profile event this time at TPP’s new head office in Horsforth where His Royal Highness (HRH) the Duke of York would officially open the new building. The morning started with tea, coffee pastries and fruit while guests got to know each other and heard about the completion of the bespoke £21m headquarters. After a tour around the building Prince Andrew joined the guests for a buffet luncheon. 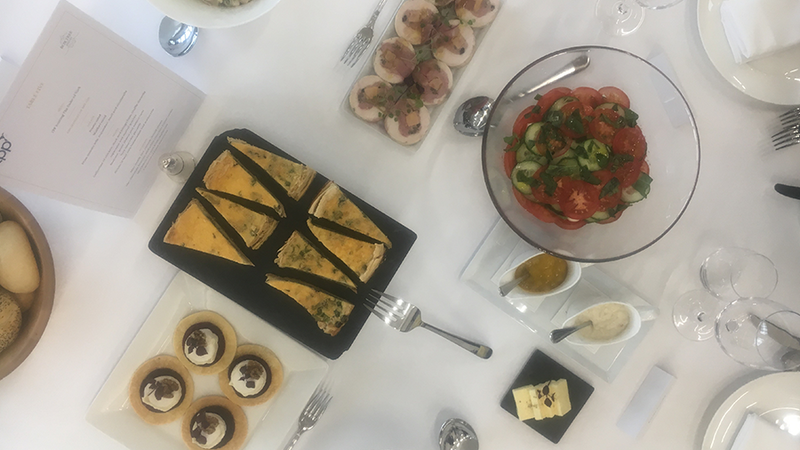 The table spread consisted of; Asparagus and Morrel Quiche, Roast York Ham with Piccalilli, Beetroot, Goats Cheese and Walnut tarts and a Waldorf Salad to name just a few. 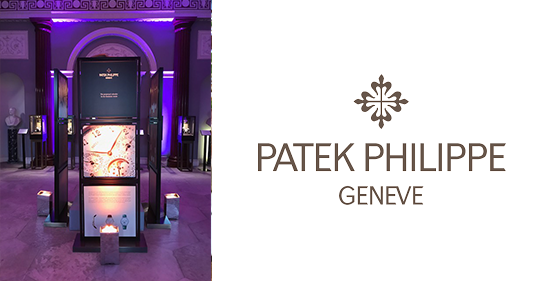 Finally, just a couple of weeks ago we were back at Harewood House again for another high-profile event with Patek Philippe. The house was filled with a selection of their stunning time pieces which looked perfectly at home in the stunning surroundings. While guests sipped champagne they were taken on a tour around the rooms and various displays presented for the evening while being served a choice of canapes. At 8.30pm guests were invited to be sat for a three course dinner with the main course of Tranche of Wild Halibut, Pomme Anna, Potted Shrimps and Samphire being very much the star of the show! We work very closely alongside Harewood house to create many elegant events like these, both intimate and large scale. Whether the occasion is a drinks reception with canapes and entertainment or a formal meal the house is the ideal setting for guests to receive Michelin star quality food and service.